We have been hearing about the Nvidia GT 1030 for some time now and we know that this is an entry-level GPU that is priced under $100 and will be competing with the RX 550. 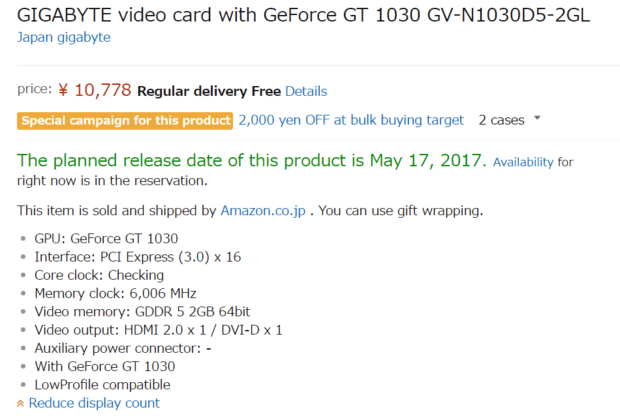 The specifications of the Nvidia GT 1030 have been leaked and it seems that the GPU is already available for sale in some parts of the world. The Nvidia GT 1030 features the GP108 graphics processor and comes with 2GB of GDDR5 memory. It also has a 64-bit interface. One of the major features of the GPU is that it does not require any external power. All you need to do is plug it in and get to gaming. This feature makes it great for people that already have an old pre-built PC lying around. The GPU has a TDP of 35 Watt and has a base clock of 1227 MHz and boosts to 1468 MHz. 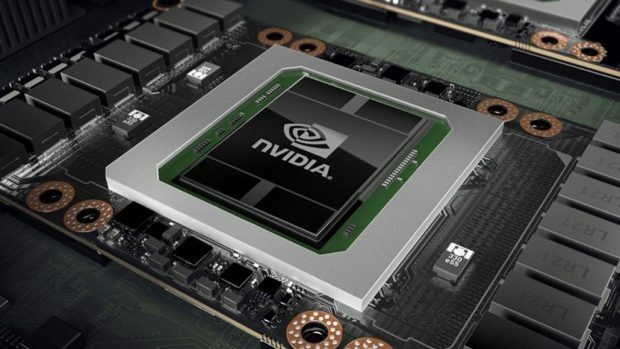 The Nvidia GT 1030 has 384 CUDA cores. Comparing this with the RX 550 we can see that the Nvidia GPU has a higher clock speed but only comes in a 2 GB version. At least that is what we know at this point. The RX 550, on the other hand, comes in 2 GB and 4 GB versions. Reports claim that the GPU will be hitting the shelves starting 17th May and some people have confirmed that the GPU is available for purchase in some parts of the world and the only thing that is holding people back is the lack of driver support. We have also found custom GT 1030 variants and you can check them out here. You can check out the different versions that are being offered by different partners that have been leaked ahead of time. 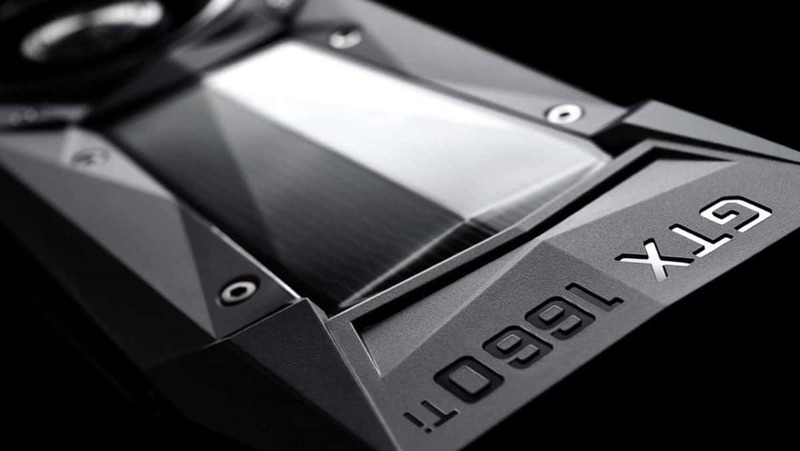 Nvidia has dominated the GPU market at the high-end, the Nvidia GT 1030 will be taking on AMD at the entry-level price point. Let us know what you think about the Nvidia GT 1030 and whether or not this is something that you might be interested in.